This post, New Issue of IJRL, by , first appeared on February 13, 2019 9:00 pm at http://fm-cab.blogspot.com/. 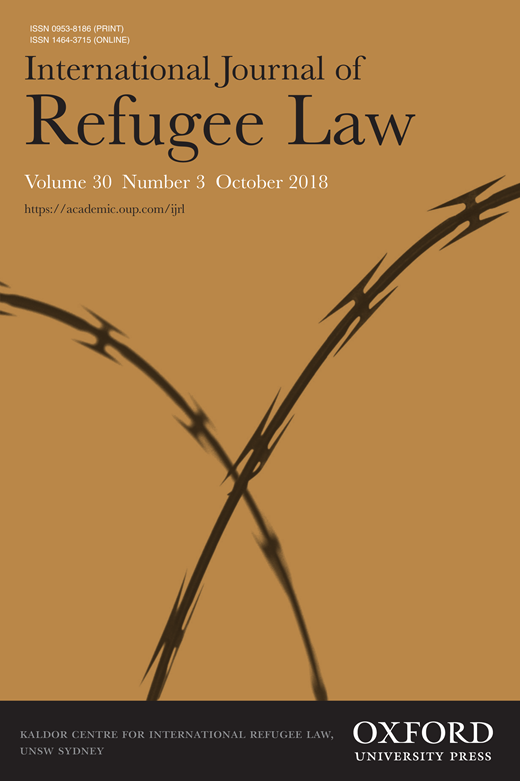 This issue also includes case law summaries and four book reviews, and it reproduces UNHCR’s international protection guidelines that focus on the applicability of Art. 1D of the CSR51 to Palestinian refugees.